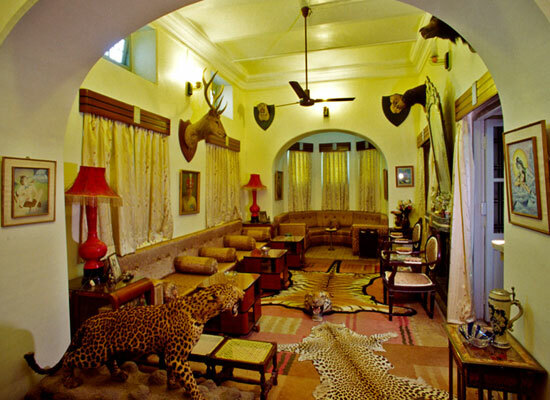 "Translated as the abode of Goddess Kali, Kali Niketan is one of the best budget heritage hotels in Baroda. 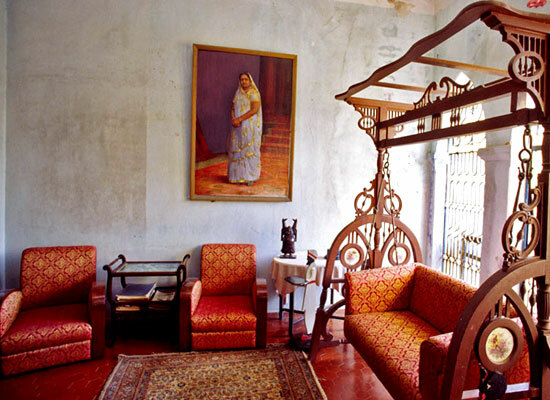 The property was constructed as a summer house in an area of 60 acres by Maharaja Fatehsinh ji in the late 19th century. This heritage hotel comprises of 2 drawing rooms, 6 air-conditioned rooms, 2 lounges, 2 dining rooms and 5 terraces. Lip-smacking multi-cuisine food is served in the royal kitchen. Modern comforts and impeccable hospitality are the highlights. Open spaces and mango orchards surround the property. Today the heritage hotel is managed by the present-day owners Maharaj Sajjansinh, his wife Rani Devendra Kumari and son Rajkumar UdayrajSinh. Chhota-Udepur was a princely state in western India, which was formally known as Rewa Kantha. The grandfather of the present ruler Maharaj Sajjansinh’s, Maharaja Fatehsinh ji had constructed this property in the second half of the 19th century. The palace was basically built as a summer palace. The rulers of the region were known as aficionados of art and architecture and thus this palace has popular for its wonderful architecture. The former name of the property was Nahar Villa, which was later changed to Kali Niketen, dedicating it to the family Goddess, Mahakali. The name of the palace translated to the abode of Goddess Kali. The palace is spread in an area of 60 acres and is surrounded by mango orchards and open spaces. 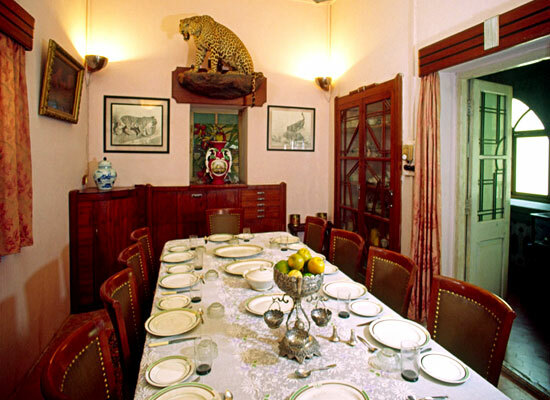 Kali Niketan has a total of 6 air-conditioned rooms, 2 drawing rooms, 2 dining rooms, 2 lounges and 5 terraces. Covering an area of 60 acres, this property offers memorable stay amid a serene ambiance and contemporary comforts. The décor of the rooms is warm and welcoming. Most of the antiques have been kept intact. The walls are adorned with huge family portraits and animal stuffing. From their rooms, the guests can enjoy the views of mango orchards and lush open spaces of the hotel. Four-poster bed, lampshades, wooden wardrobes, air-conditioner, attached bathroom, writing desk, chair, telephone, television with cable/satellite connection, are some the facilities and amenities available here. The kitchen at Kali Niketan serves finger-licking delicacies to suite all the palates. Mughlai, Continental and traditional Gujarati fares are the specialty. The extensive menu includes of vegetarian and non-vegetarian dishes in a vast variety. 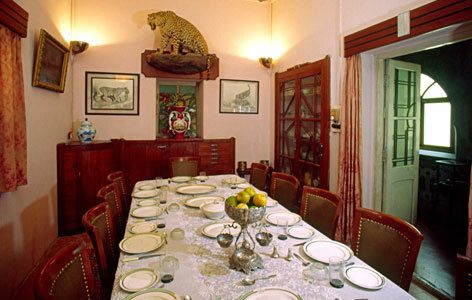 There are 2 dining rooms where the guests can enjoy peaceful meals. The family cooks prepare all the meals with great care and hygiene. There are two on-site lounges also where the guests can spend some great time and leisure moments. Now known as Vadodara, Baroda is an erstwhile princely state of Gujarat. Also known as the cultural capital of the state, Vadodara is dotted with several wonderful attractions. The city receives a decent footfall of tourists every year. Laxmi Vilas Palace, Sayaji Baug, Kirti Stambh, Maharaja Fateh Singh Museum, Baroda Museum & Picture Gallery, Mazarbaug Palace, EME Temple are some of the popular Vadodara attractions.